Let’s face it; behaviors are the backbone to any classroom. Especially when your talking about a special needs classroom. This year I have students with Autism, learning disabilities, down syndrome and health impairments. Whether it’s the positive behaviors, stemming behaviors, sensory seeking behaviors, attention seeking behaviors or just straight distractive behaviors, they affect every aspect of the classroom. 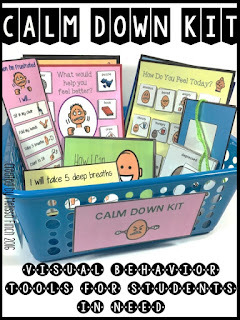 My Calm Down Kit is the backbone to most interventions used in my classroom. It has been a big seller and the most asked about product of mine. 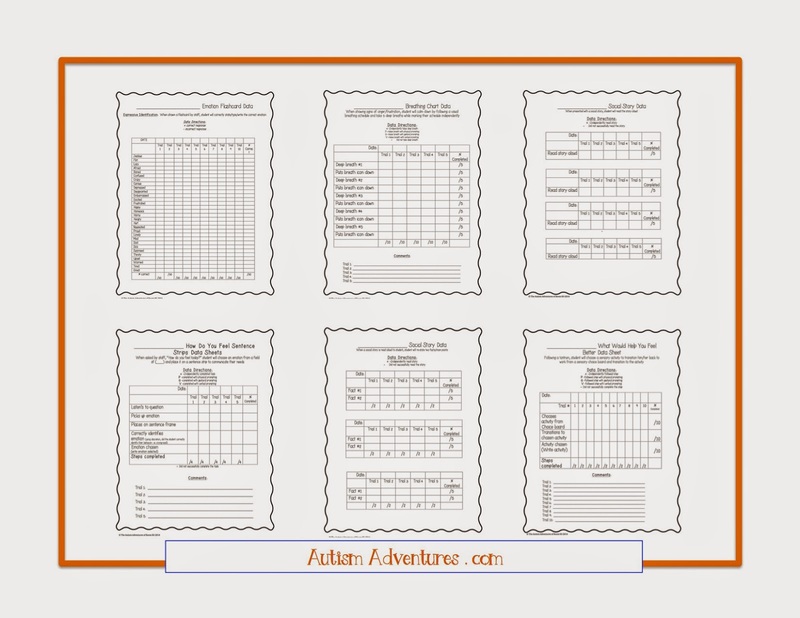 I created these data sheets for my own use with specific IEP goals that I have written for my students over the years. I decided to create this product to help drive instruction and behavioral interventions within your classroom. 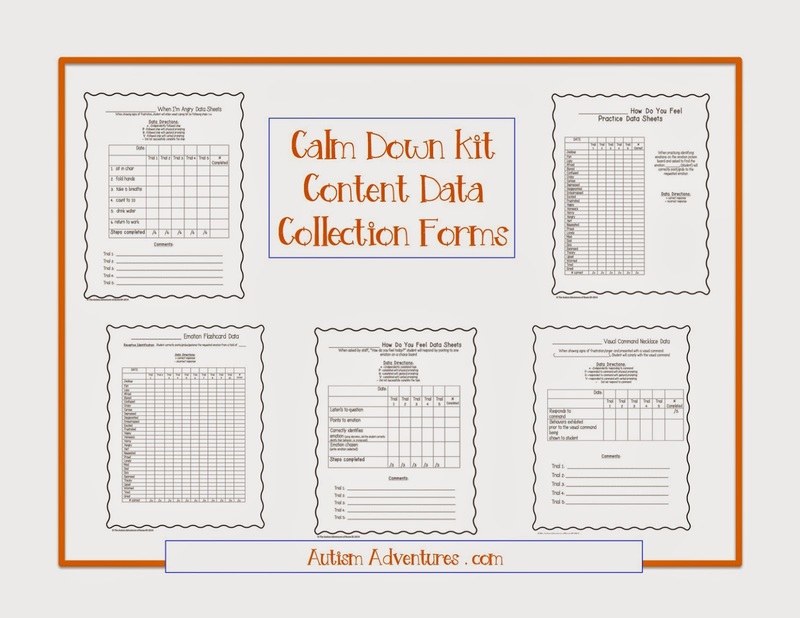 There is SO MUCH included that I am choosing to break down this bundle by each product included in the Calm Down Kit that is for sell in my TpT store. With that, I wanted to do a short description of each item included in the Calm Down Kit- and the uses they may provide. 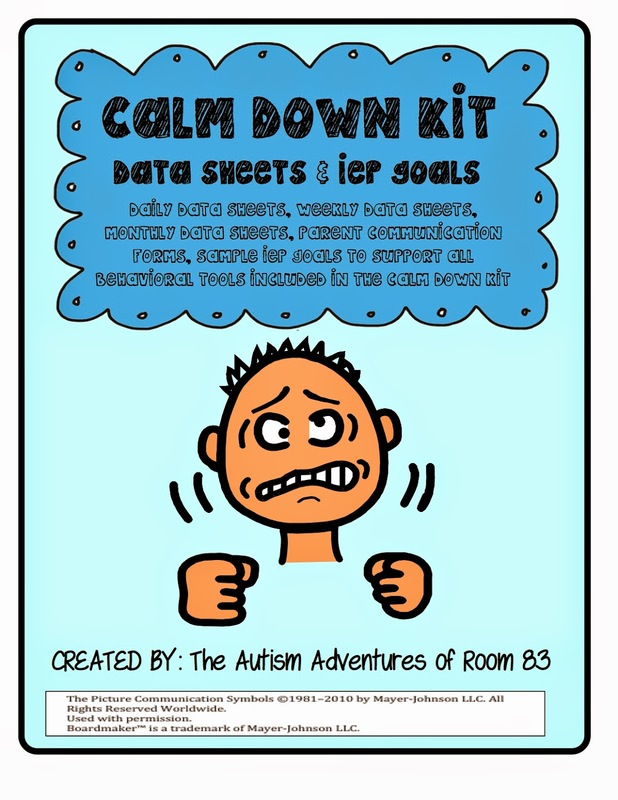 Of course- these items are not limited to what is described below...use as you wish Also included are sample IEP goals you can use to build social emotional skills with the use of the Calm Down Kit. I wanted to include little previews of all the forms that are for sell in this bundle. I apologize that the forms are small, but due to copyright policies, I did not want to blow them up! 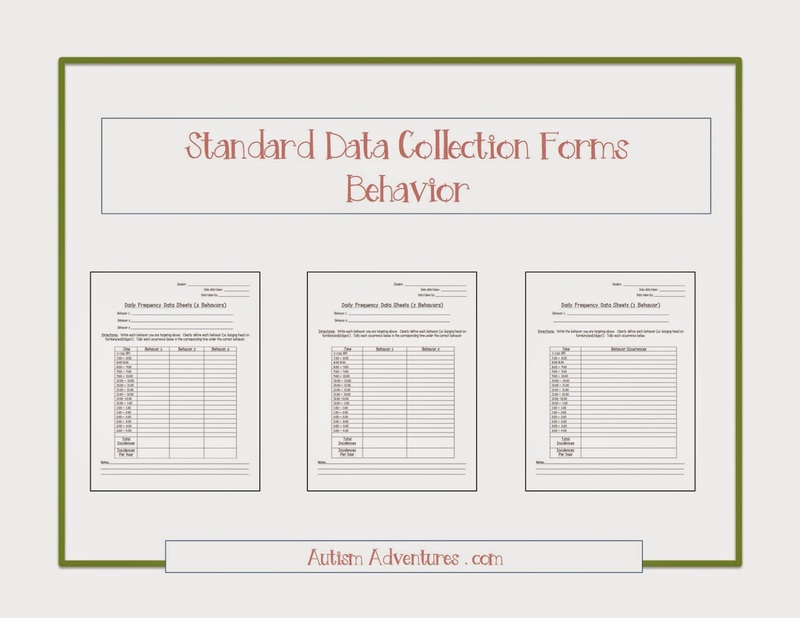 Because behaviors are the backbone to any classroom, I included several other behavior data forms. These are general forms that can be used and edited to meet your needs in your classroom. Keeping consistent data can help drive instruction for your students to better the environment for all students. 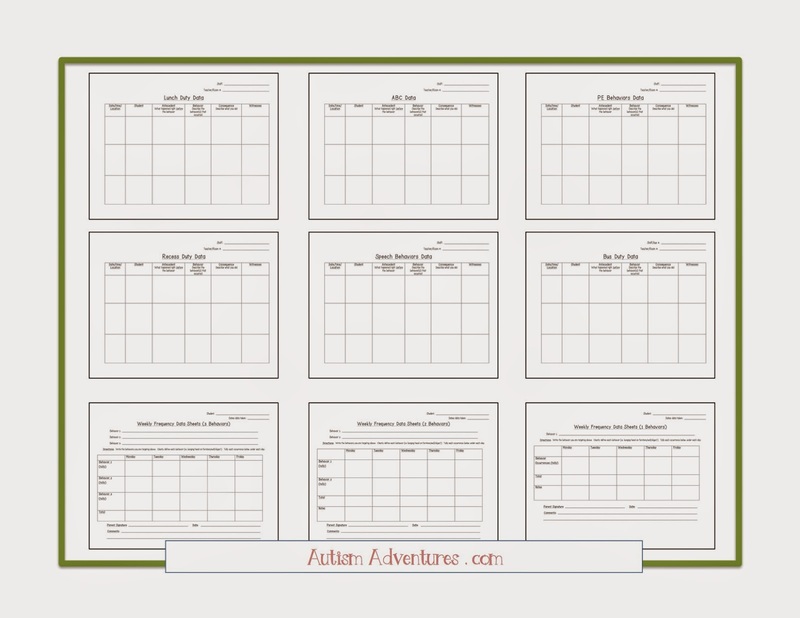 All of these forms that are included in this bundle come in two forms, PDF and editable. This makes it so that you can add student names, revise IEP goals or change the template. If interested, you can purchase my Calm Down Kit HERE!